Doug Seserman is not a politician but he has a pretty good idea how it feels to be one. After a decade and a half as the de facto leader of the Colorado Jewish community, the outgoing president and CEO of JEWISHcolorado realizes that the position is not the fast track to winning popularity contests. A week before his last day on the job on Sept. 29, Seserman acknowledged that the position has had its thankless moments. “I feel blessed by the community, but I always knew it was a politician’s job,” he said from a colleague’s office, since his had already been put to new use. He doesn’t say it himself, but those ratings might be a result of the fact that during his tenure in Denver, Seserman has been anything but a contented leader satisfied with the status quo. Coming straight from the corporate world into the nonprofit realm of a Jewish federation, he quickly set high goals for himself and his employees, both in terms of fundraising and the number of people he wanted the federation to connect to. He was an innovator right out of the gate, seeking new and better ways for the organization to interact with the many other Jewish organizations in the region, increasing the importance of endowments in Jewish communal life, and enhancing the physical infrastructure of the community. All this culminated in rebranding the old Allied Jewish Federation as JEWISHcolorado, a nationally unprecedented move for a Jewish federation. One of his most successful objectives was to forge tighter bonds between Colorado Jewry and Israel through initiating a partnership with the Israeli community of Ramat Hanegev, and strenghening the Jewish Community Relations Council as a defender of the Jewish state on the domestic front. Seserman’s has been a busy and challenging agenda, so it’s not surprising that he might have ruffled a few feathers along the way. He also made quite a lot of new friends, many of whom are sorry to see him go, as was evident at the recent annual meeting of Jco, which paid him an emotional tribute. The experience, he says, has certainly changed him. While he once believed that assuming the federation’s helm in Denver would be a mere “detour” from his corporate career, the nonprofit Jewish community has now become his “life’s work,” said Seserman, who will soon embark on his new job as CEO of American Associates of Ben Gurion University in the Negev. 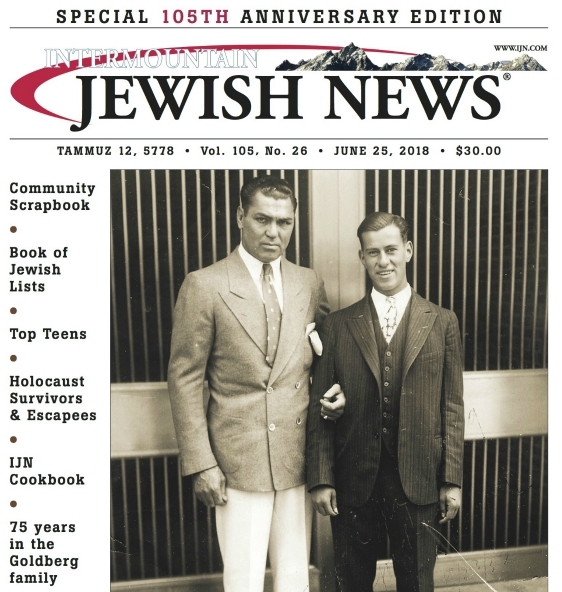 In a characteristically frank and thoughtful interview last week with the Intermountain Jewish News, Seserman discussed his successes and disappointments, the effects of the economic downturn on JEWISHcolorado and his advice for the man or woman who will ultimately take his place here. IJN: In August, 2002, in our first interview with you, you listed your objectives in your new job at what was then the Allied Jewish Federation. Number one, you wanted Colorado to be recognized as a great Jewish community; number two, you wanted to reach a goal of a $10 million campaign by 2005; and number three, you wanted to increase the federation contact base from 14,000 to 34,000. What’s the status report on those goals? Seserman: We were successful in our fundraising goals. I’m not sure what year it was, but before the economic downturn we were raising annually about $8.5 million unrestricted and another $4 million designated, so we were at about 12 and a half, 13 and growing. Then we got hit, [decreased to] about 20% off of that and have recovered since then. Today we are stabilized in the annual campaign between $10 million and $11 million. I think the community has the potential to be a $14-15 million annual campaign. The piece that has grown a lot is the endowment side. If you add the endowment fundraising on top of the annual campaign, we’re averaging another $5 million to $10 million in planned endowment gifts. In two of the last three years we’ve raised more money in the endowment and planned giving side than we did on the annual campaign side. So from a total financial resource development standpoint, I feel that we’ve been successful. We’ve recovered well from the economic downturn, but still aren’t anywhere near the potential of the community. I think there’s been over $200 million raised in the time I was here. I feel great about the body of work and the achievement, but are we at the potential? Not exactly. On the contact number, we might be close to the 34,000. Our email database is well over 10,000 and there’s probably another 20,000 or so that we don’t have email addresses for. In the 15 years you’ve been active here, has Colorado become a “great Jewish community?” How is that defined? I don’t know the answer to either of those questions. I think we’re on our way. We’re certainly a relevant place, Jewishly, in the country. If I’ve played a role in helping that, I feel good. We’ve gotten national recognition, both the organization and me, for the work that we’ve done. We had the GA here and had great volunteer support and attendance. We’ve become the innovative leader in young adult programming and in our work with legislators through the JCRC. So I think we’re on our way, but there’s still kind of an East Coast bias in the Jewish world. It kind of skips over Denver on the way to Los Angeles. We’re still known more as a place to ski than a place to be Jewish. You’ve done a lot to take JEWISHcolorado outside of its own walls and involve itself more with the rest of the Jewish community. How has the community itself changed and evolved since 2002? It’s bigger, it’s younger, it’s less interested in the past and more concerned about the future. Israel has gone from a unifying force to a divisive issue in the community. We’re really seeing firsthand that this is a Jewish community of modernity, the first generation in which all Jews are Jews of choice. That’s happening right now. It was happening when I got here, but it’s 15 years later. The people who are 30 today were 15 then. This is a very exciting community in terms of all the different portals and ways to be Jewish. But it’s not exactly a best practices community in terms of how everybody works together and collaborates. One of the major donors in the community gave me a great metaphor. She talked about all the agencies as the dogs, the donors as providing the dog food, and the federation as the dog food bowl. So if the donors put enough dog food in the bowl, all the dogs might not like it but they learn to eat out of the bowl together. But if there isn’t enough food in the bowl, then the dogs are going to be fighting amongst each other and are also going to bite the hand that’s bringing the food. Because of scarcity, or concern over scarcity, there’s less communal orientation than is possible. One of my hopes for the future would be that organizations not only address their parochial needs but really work to function as a community and as a people in as great a way as possible. I hope that people look at the blessing of tzedakah, what’s G-d’s given them, and take very seriously our time on the planet . . . and that our legacy is more about what we’ve left behind than what we’ve accumulated. The donors in the community need to take stock of how important Jewish philanthropy is to themselves and their own legacies, and to ensure that the institutions are supported well into the future. You’ve mentioned the divisiveness over Israel. Has that changed dramatically during your tenure here? What are the potential implications? I don’t know that the Jewish world understands this one yet. It feels to me that Israel is in an unsustainable place around three dimensions of what makes Israel what it is: Israel’s character as a Jewish state, Israel’s character as a democratic country and Israel’s character in terms of geography, the land. Everybody understands that you can have two of those three things but not all three. There’s no easy path to have Israel be Jewish and democratic in a land that’s recognized by its neighbors. The difficulty has created frustration, certainly among the people that are anti-Israel . . . but even among people that are supportive of Israel. The growing frustration at the lack of progress to finding a peaceful solution is making people who used to be unconditionally loving of Israel become overly critical. Those who are on the right have become less tolerant of those on the left, and those on the left have become very intolerant of those on the right. The only argument everybody understands is their own. As a community we’ve got a lot of work to do in empathetic listening, in trying to listen to the narrative of the other in addition to your own. Yelling back and forth is not going to do any good. We just accepted J Street into the JCRC; several years ago they were denied membership. I think that at a communal table all voices need to be heard. I’m comfortable that all these different voices are part of our vibrant Jewish community today. 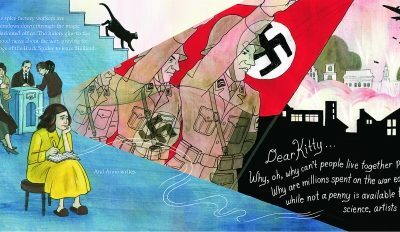 Has it been hard for you to walk a tightrope between those factions as a voice, ostensibly, for the entire Jewish community? Yeah, for sure. At our heart we’re not a political organization. We’re an organization that’s trying to build sustained Jewish life locally and around the world, so taking political positions isn’t really our thing. But the work of being supportive of Jewish life has become political. It’s almost impossible today to not be involved in partisan politics in some way or another, which is very unfortunate. As an organization our goal is to unify and not divide, but it’s also to be comfortable with our multiple voices that make up the diverse nature of our community. It’s getting harder. It’s hard to lead without an opinion. That’s a tough one. On the one hand, what I think doesn’t matter and on the other hand it does matter. How can you lead without authenticity? Politically? I probably lean a little center-left. I’ve found myself moving a little to the right as I learned more about the reality on the ground and the difficulties of the Israel-Palestinian issue. Today, if I had to pick a political leaning I’d probably be a little center-left as it relates to the need for a sustainable strategy that makes Israel both Jewish and democratic. The divisiveness isn’t happening in a Jewish vacuum, is it? It’s also happening across America, with little room for compromise, no apparent desire for dialogue, increasing acrimony on all sides. There’s no question about it. What we need to remember as Jews is that ultimately we have a mission to be a light unto the nations. There is a double standard when it comes to being a Jew and it’s a good double standard. We have a responsibility to lead an ethical life in a way that others might not. What that means in terms of how we make decisions, who we’re friends with and who we listen to, is that we must always try to be the best role model we can, and if we disagree with somebody else we should disagree without being disagreeable. Greatest disappointment in the last 15 years? I was hoping that I had enough leadership to get us to a place where there would be more collaboration and cooperation than competition and I don’t know that I got there. I’m a competitive person, so maybe I’m a part of why it still feels competitive. I was hoping with things like Total Choice Tzedakah that there would be a way to raise more money through the central federation and the agencies could focus on program delivery. That was never fully materialized. We also had this project, Jewish Colorado Tomorrow, a coordinated master plan on capital projects. We had to shelve that because of the  downturn. I think had we been successful with that, not only would the facilities be in better shape but the community culturally would be a more collaborative place. The community comes together in times of crisis incredibly well, but I wish on a more ongoing basis it had that sense of community accomplishment. There are a few of them. One of them is the reimagining [Allied Jewish Federation as JEWISHcolorado]. To have pulled that off is really quite an accomplishment. I didn’t do that by myself but I was leading the effort. I had a great board, and people like Nancy Gart and Judy Robbins. One of the greatest successes has been staying proactive and being able to make midcourse adjustments for the plan to stay relevant. To take a 70-year-old organization and basically and fundamentally redesign and relaunch it is a great accomplishment. I feel really great about the work we’ve done in the young adult area, about the JCRC and Colorado being the fourth state in the country to pass anti-BDS legislation. I feel like I’ve had a lot of impact on the staff members. A lot of the people I’ve worked with have become federation executives in other communities; some are still here. Let’s talk about where you’re going. I am CEO of American Associates of Ben-Gurion University. I see it as the ultimate 21st century American Zionist role and I would have never gotten to that role without this role. For me to be able to participate nationally in developing one of the principal institutions impacting the future of Israel — especially in the South — is really amazing. It’s Israel beyond the conflict — breakthrough research in agriculture and water and cyber-security and medical innovation and brain research. It’s the Jewish brain at its best. I’m really excited about using the combination of my branding and marketing background plus the nonprofit leadership at JEWISHcolorado. Is it a coincidence that the university is in the Negev and you’ve had so much to do with the Negev? Not a coincidence at all. Part of what attracted them to me was our experience with JEWISHcolorado and the Negev. They knew that I cared about that part of the country. Certainly my interest in them came from my relationship with Ramat Hanegev and Shmulik Rifman [the late regional mayor of Ramat Hanegev] in particular. We were great colleagues and even better friends. He’s the closest thing I think I’ve had as it relates to a personal relationship with a founder of the state. In some ways, if I wasn’t going to have unbelievable material success in the private sector, to be able to advance Ben-Gurion’s and Rifman’s vision is pretty good work. But you won’t be living in Beersheba, you’ll be in . . .
“New York City, the concrete jungle. I’ve never lived in New York City although I have a lot of friends and relatives there. It’s clearly going to be an adventure and I’ll miss Colorado hugely, especially the skiing and the Broncos. I’ve been doing internet research on the best Broncos bars in New York City. What parting advice would you give to your successor? “Listen, but don’t be afraid to lead. Be true to yourself. Try to have a vision as to where to take the organization and the community. Don’t let the day to day distractions keep you from being able to achieve your vision. Focus on continuous improvement, on the journey getting better, as opposed to individual success or failure on a daily basis. “Know the importance of the synergy that comes from working with volunteer leadership and donors and agency leadership, the community, the clergy.